In this workshop we will be introducing some methods you can use to create your own unique model that can be used for 3D Printing. This workshop allows for students to learn some basic 3D Modeling that they can then use to print a 3D object of their own creation. 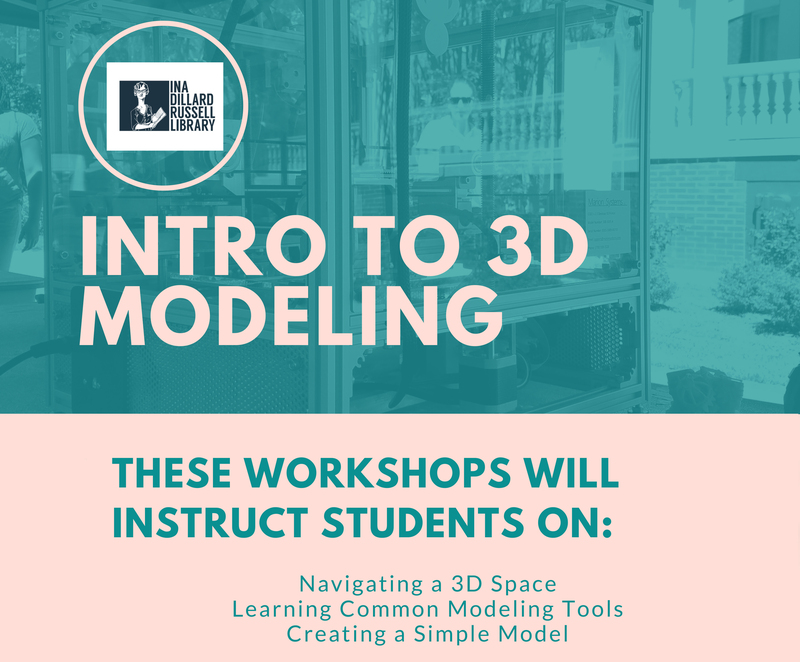 The workshop will cover how to get around in a 3D space, common tools, and how to model a simple design using a modeling program. Familiarize students with a 3D Space and common tools that they will find in Modeling programs. Students will learn some of the basics of 3D Modeling and be able to create a simple model. They will then learn how they can then Export that file to be used in 3D Printing or other software.